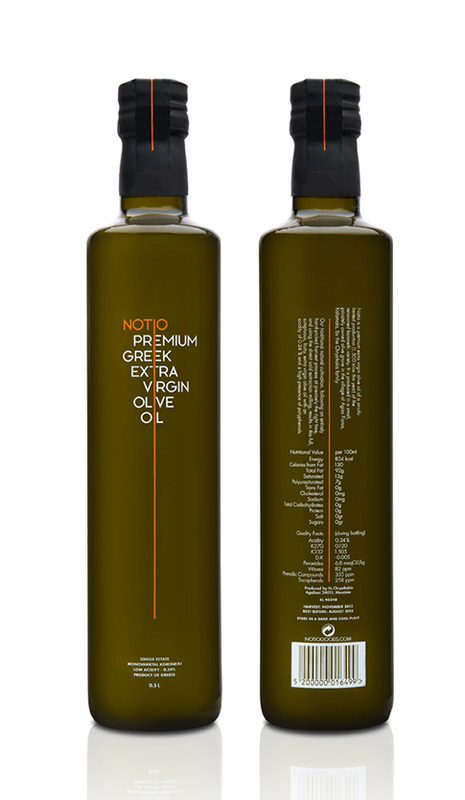 Packaging for Notio Goods, a series of products (extra virgin olive oil & olive leaf tea) under the Notio the Greek Olive Estate brand name, all of which are produced on an estate located at the village of Agios Floros in the Messinia region, on the south of Peloponnese in Greece. 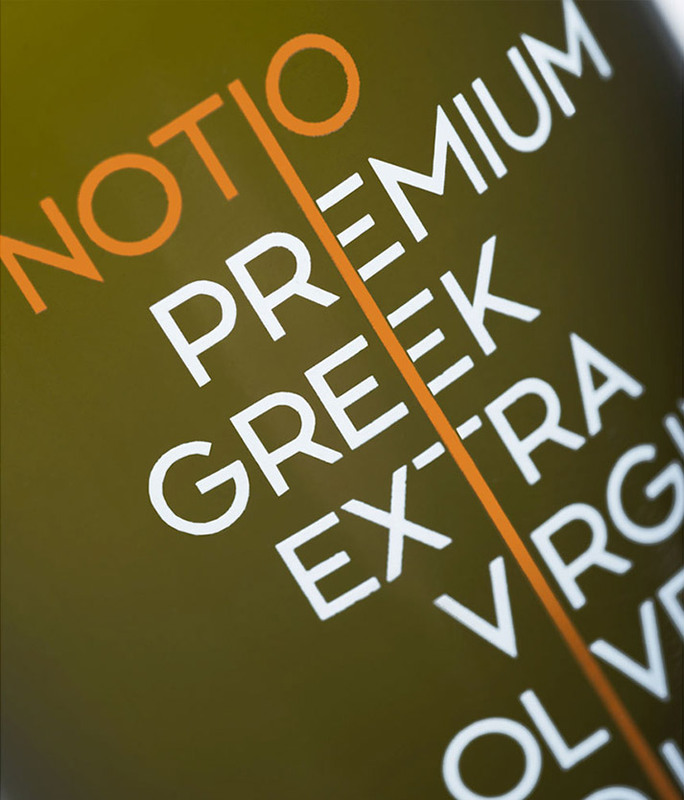 The idea behind the packaging design: One of the initial goals was to make clear that Notio Goods is a company that is proud of its greek and more generally, south-european roots. In the European south, people “see things slightly differently”. As a result, an outsider usually gets the impression of disorder, whereas in reality it is just a matter of a different logic, a different set of rules that may not always be what he/she is used to, but ultimately work. 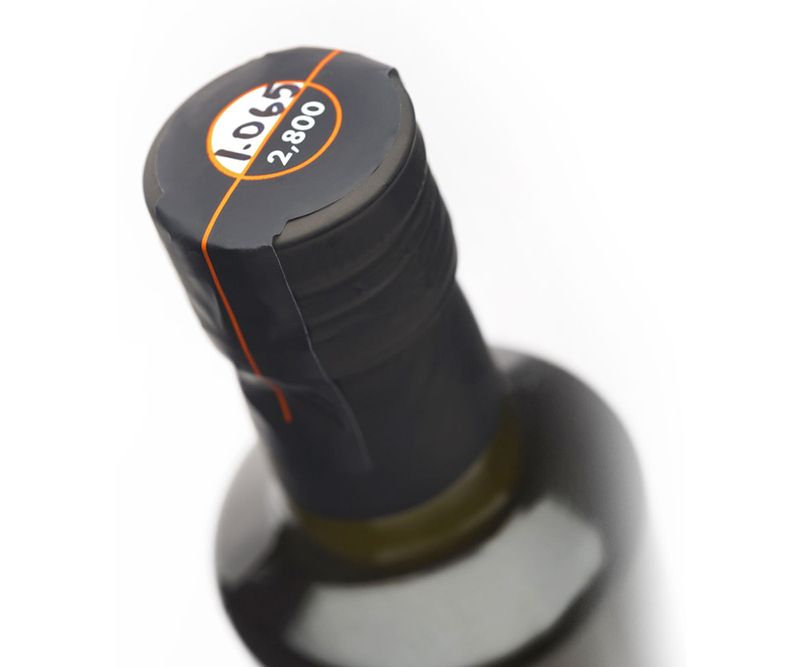 Similarly, the letters that form the brand name on the bottle and throughout the identity of the brand, on a first look may appear disorderly, as there is no apparent alignment. 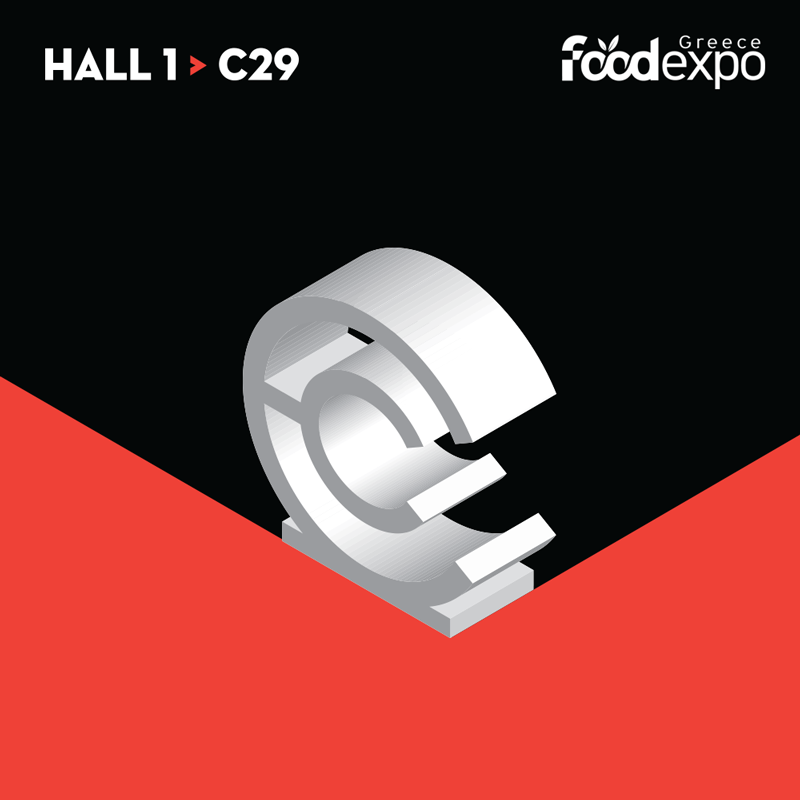 A closer look will reveal that the alignment of each word is based on a central axis that unites all the typographic elements. This axis symbolizes durable Greek values, such as simplicity, purity and clarity. In the same logic of the “slightly different”, texts on the back of the bottle are vertical instead of horizontal which would be the norm. The typeface used for the brand and product names was designed by the Comeback from scratch. 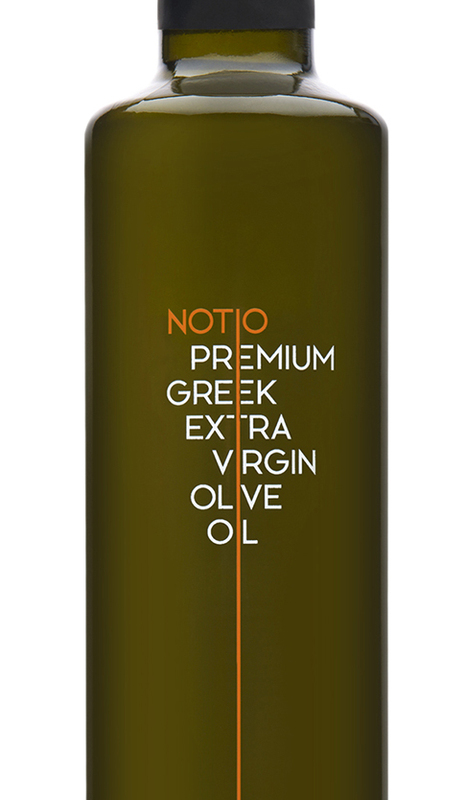 Each bottle of the Notio Extra Virgin Olive Oil oil is individually numbered, with its unique number written by hand on the top of the safety strip that secures the cap. 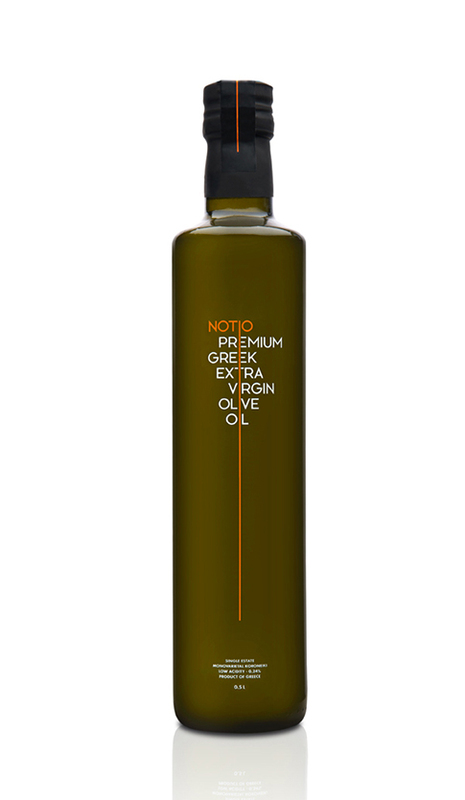 Edit: Notio Extra Virgin Olive Oil won a merit at the 2014 Greek Design & Illustration Awards (EVGE) in the Olive Oil Packaging category. 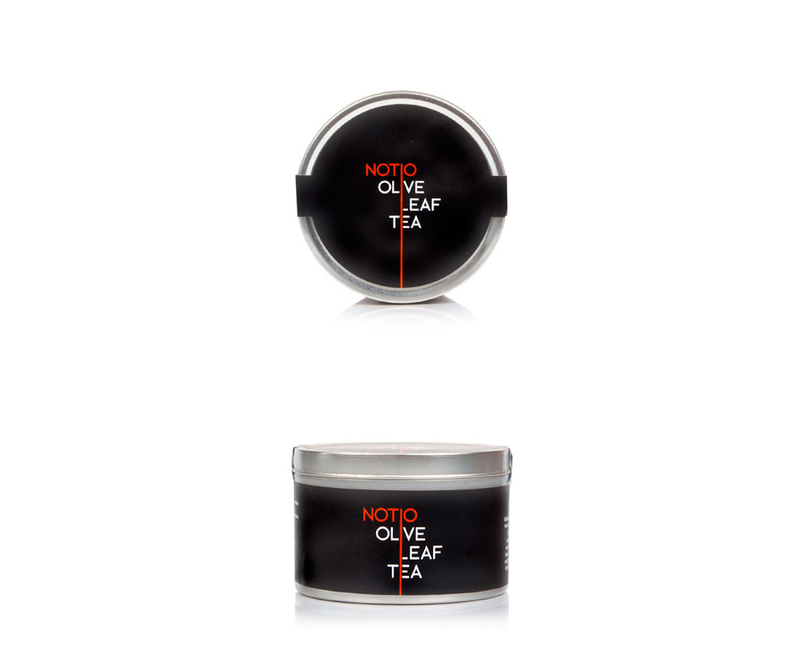 Edit2: Notio Olive Leaf Tea won a Star (3rd place) at the Great Taste Awards in 2014.